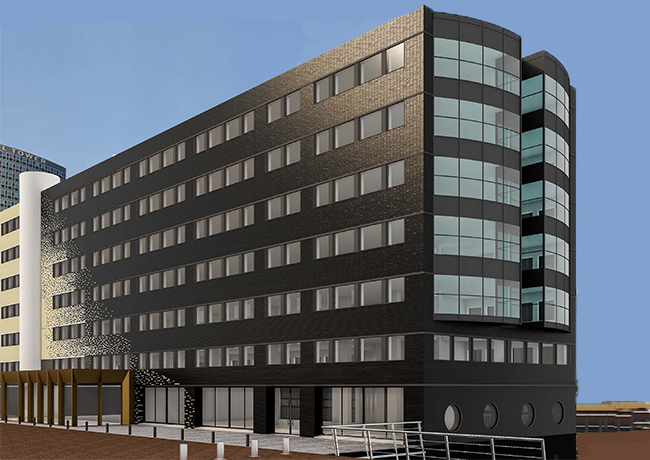 Tristan’s CCP 5 ‘Long-life’ core-plus fund has acquired two mixed use hotel and office assets in Amsterdam in an off-market transaction from DW Partners. Whitewood, the asset manager on the ground for DW Partners, will remain as the operating partner for the Fund. Ali Otmar, Senior Partner – Deputy Head of Investments at Tristan Capital Partners, said: “The Fund is attracted by the fundamentals of the Dutch economy, and the opportunity to realise value by capitalising on the constrained supply of new office stock in Amsterdam, and the under-supply of hotel accommodation to meet the strong growth in demand. The first asset is located in the well-established Sloterdijk/Teleport office area, directly adjacent to the Amsterdam Sloterdijk intercity train station. The Orlyplein building comprises circa 15,500 sqm the majority of which is hotel accommodation. The Fund will conduct an extensive refurbishment programme to upgrade the office to grade-A space. The second asset is a four-storey 13,800 sqm hotel-office property located in close proximity to the Amsterdam Lelylaan intercity station. The property will benefit from multiple, high-profile developments that are planned in the Koningshof area over the next few years and will materially enhance the area. Advising Tristan’s CCP 5 Fund on the purchase were Greenberg Traurig, PWC, Stevens van Dijck and Hofstede cs milieuadviseurs. DW Partners was advised by AKD and PWC.